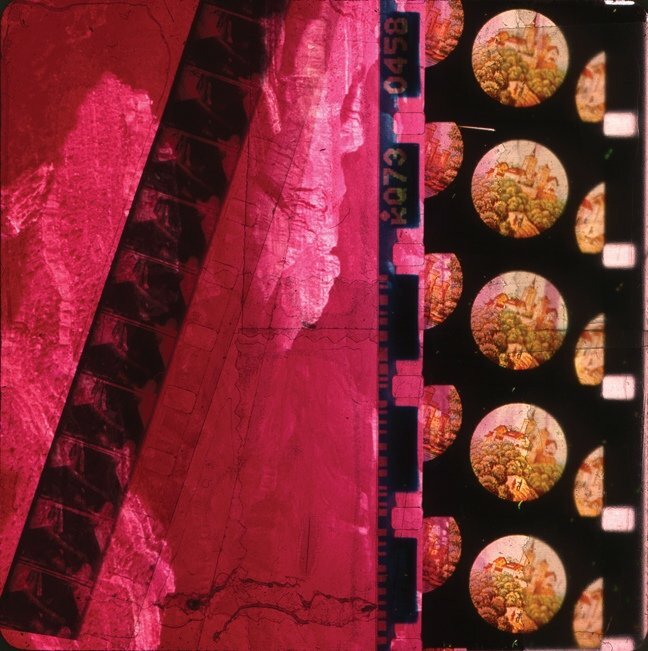 Three distinct movements examine specific connections between vision and sound: Psychedelic, liquid light, and other complex color compositions paired with electronics; Figurative and photographic images coupled with strings; Minimal uses of pure colors, flickers, and gels accompanied by percussion elements. Projections in various formats by Bradley Eros, Lary Seven, Katherine Bauer, Rachael Guma, Genevieve H-K, Kenneth Zoran Curwood, Joel Schlemowitz, Tim Geraghty, Sarah Halpern, Simon Liu, Alison Nguyen, Lily Jue Sheng, Antonia Kuo, Shona Masarin & Andrew Hurst. Sound organized by Mia Theodoratus (electronics), Michael Evans (strings), Victoria Keddie (percussion), with: Richard Sylvarnes, Gabriel Guma, Scott Kiernan, Rachelle Rahme, Zach Layton, MV Carbon, Laura Ortman, David Grollman, Kevin Shea, Jake Naussbaum, Rachael Guma. Optipus is a nomadic group of chameleon artists, cine-scientists in search of a laboratory, shape-shifting according to site-specific requirements. The group embraces the ephemeral cinema of unfixed forms and open composition. Optipus’s members emerge in myriad collaborations, producing works and events, soundtracks and invented instruments, video edits and film loops, and expanded cinema and immersive installations. Optipus has been previously seen at various venues including The Kitchen, Anthology Film Archives, Participant Inc., New York University, Microscope Gallery, Bobby Redd Project Space (The Church), Millennium Film Workshop and others. Knockdown Center is a 50,000 sq.ft. art and events space dedicated to unusual projects and collaborations. Featuring programming of diverse formats and media, Knockdown Center aims to create a radically cross-disciplinary environment. Lead Underwriting Support for the Series is Provided by the Robert D. Bielecki Foundation. Generous Support provided by J.J. Kasper, Paul Jost, and Natasha Reatig. This presentation is made possible in part with public funds from the New York State Council of the Arts' Electronic Media & Film Presentation Funds grant program, administered by The ARTS Council of the Southern Finger Lakes. Additional Support provided by Knockdown Center and Negativland. Sponsored by Colorlab and The Bodega. Media Partner: The Brooklyn Rail. For additional information or high res images please contact the gallery by email at [email protected] or phone: 347.925.1433.